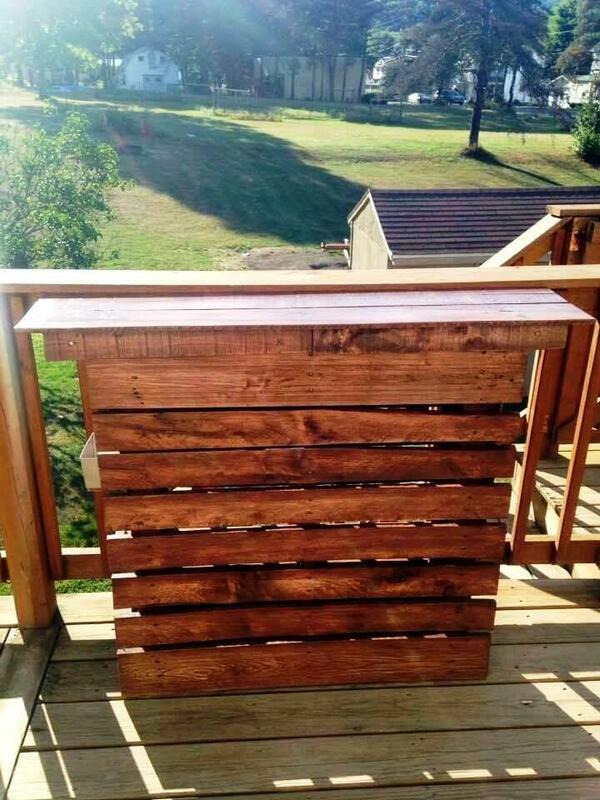 Pallets can be reclaimed also for ever low-cost but super sturdy wooden party furniture! Just decide an outdoor or indoor party space and get the cool bar tables, bar chairs and enchanting sittings sets out of pallets for free! 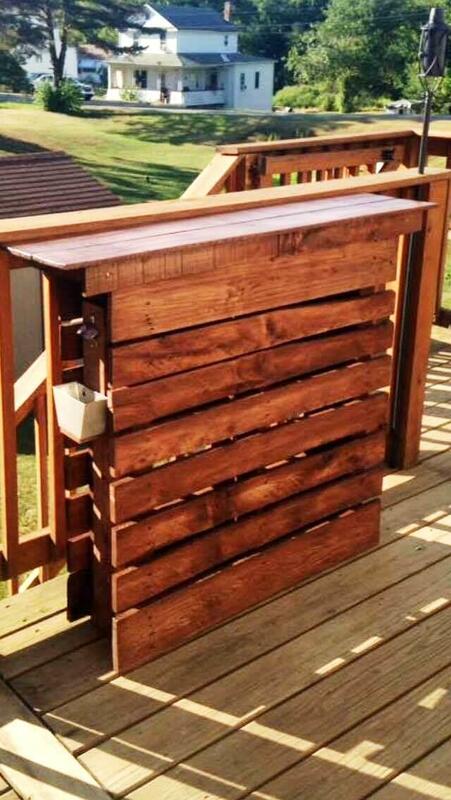 Do copy this DIY pallet bar table if you want to install a cool beverage station anywhere at your outdoor or even to your narrower balcony or front porch area! 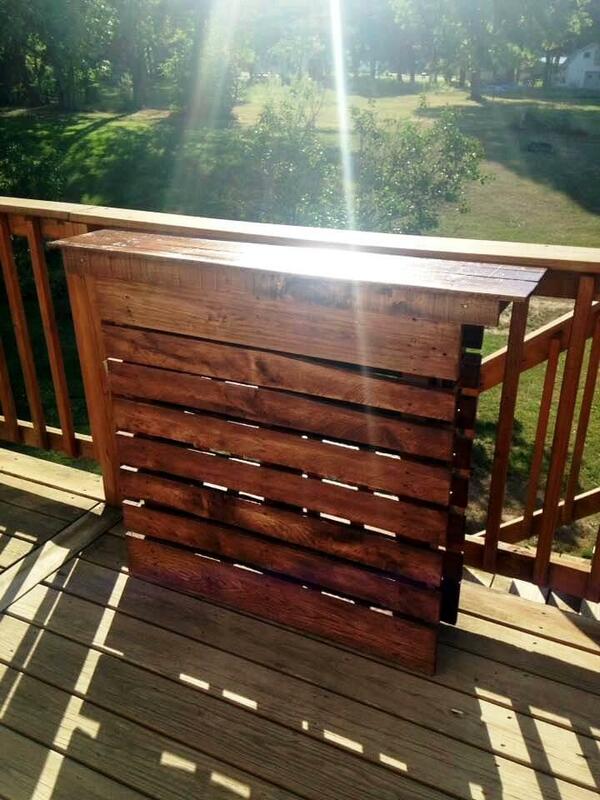 Here totally base of this slim wooden pallet bar is actually a sturdy wooden pallet made stand vertically! Then it has been finished with a longer flat top for a cool bar table design out of it! Longer separated pallet slats can easily be decided for building top of this bar table! One side of this slim bar comes with nails hooks where mini pallet coasters have been hanged in a mannered way while other side comes with a special bottle opener! Finish this bar with a wood oil, varnish or stain coats for enchanting shine on the wood grains, vary the stain shades to vary the final tone of wood also! 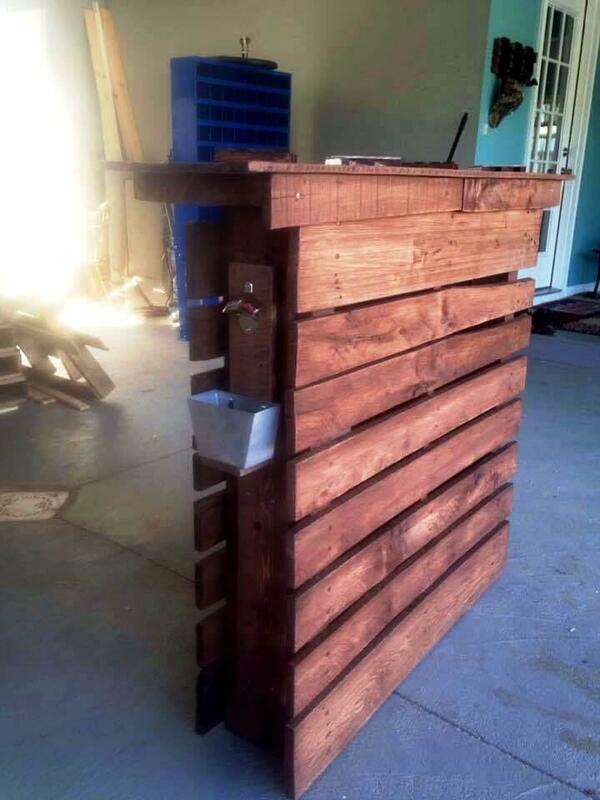 For this fantastic wooden bar model, you can simple gain a pallet board in vertical position for instant base of this bar table design! 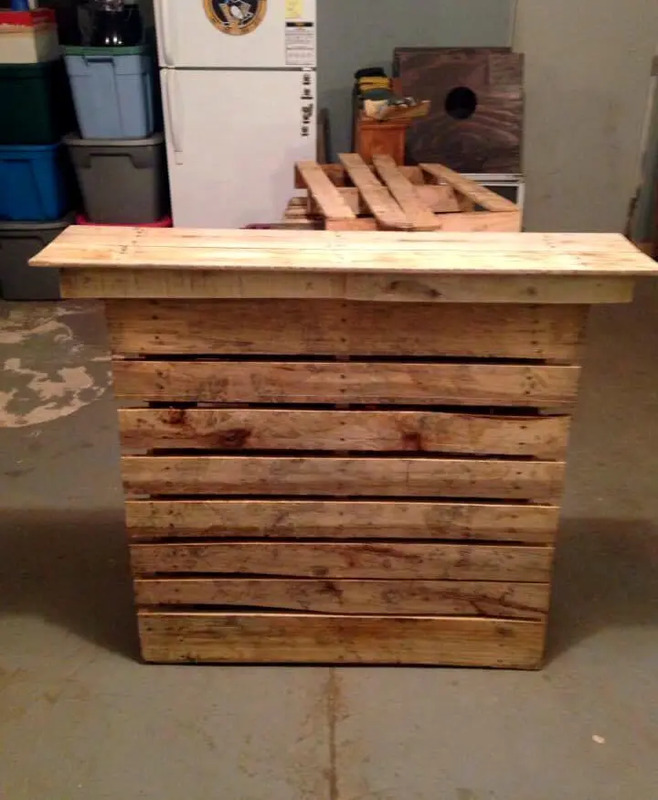 Plan the separated planks of pallets to build the longer but slim wooden top, simple put the resized pallet planks straight over the vertical base and secure them in place for a beautiful bar table top! Nails and screws would be the best hardware to hold the top planks exactly to specified positions! 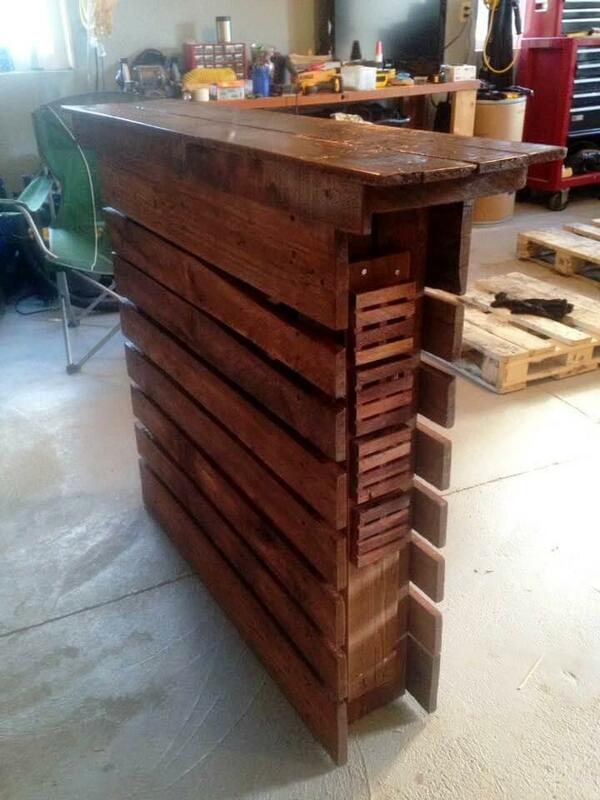 Bottle opener + bottle cap holder has been mounted on on slim side of this wooden pallet bar! Other slim side comes with nail hooks where mini pallet coasters hangs beautifully! 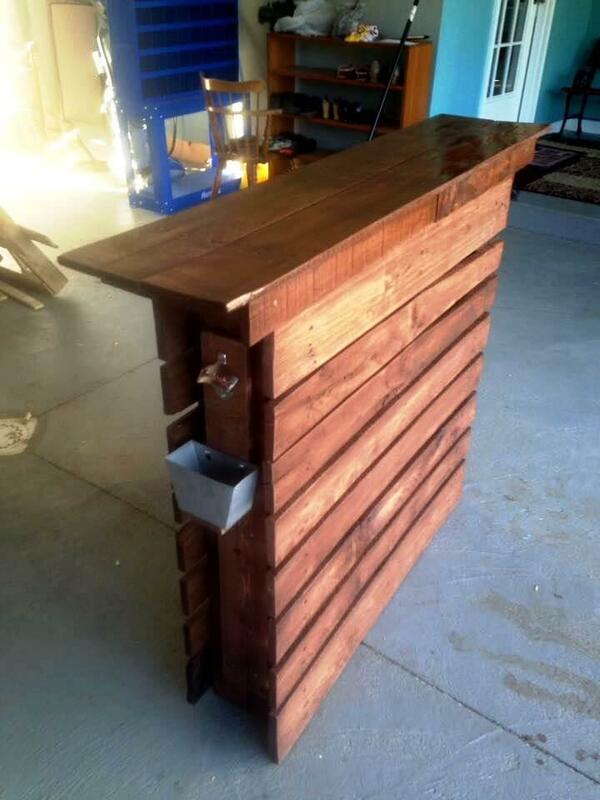 Entire bar has been finished with custom wood oil coats, can also be stained in mahogany for alluring red tone of wood! Let the bar table catch some sun rays after applying the finishing coats, this will help it to get dried quickly! Personalize this slim wooden bar with custom logos and signs and stencil patterns can also be used to magnify the overall the wooden appeal of this slim wooden bar! 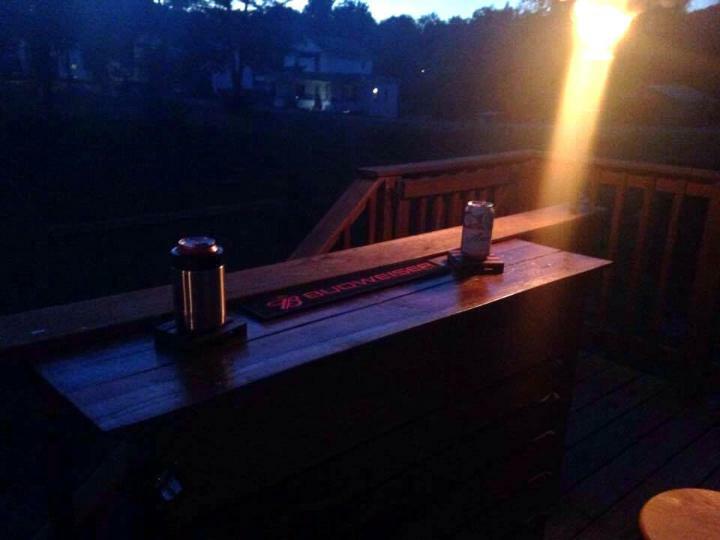 LED light can also be a great way to decorate it and illuminate it at night!